Antoine Deleforge, Radu Horaud, Yoav Y. Schechner and Laurent Girin. 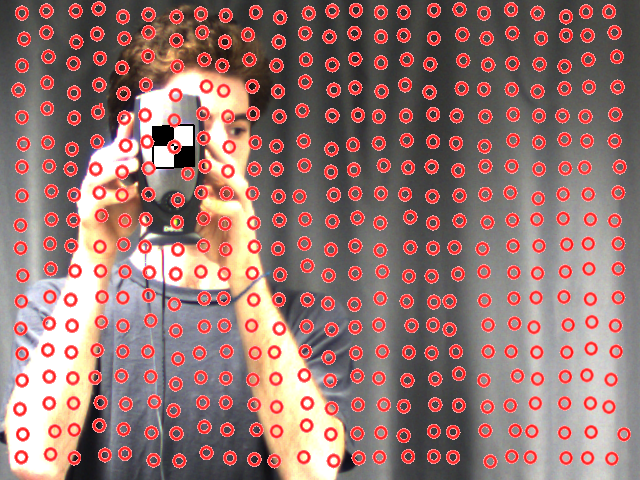 Application: Localization of audio sources (speaking people) in the camera field of view. 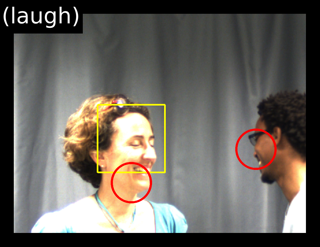 Red: proposed sound localization method, Yellow: a face detector. Abstract. The paper addresses the problem of localizing audio sources using binaural measurements. We propose a supervised formulation that simultaneously localizes multiple sources at different locations. The approach is intrinsically efficient because, contrary to prior work, it relies neither on source separation, nor on monaural segregation. The method starts with a training stage that establishes a locally-linear Gaussian regression model between the directional coordinates of all the sources and the auditory features extracted from binaural measurements. While fixed-length wide-spectrum sounds (white noise) are used for training to reliably estimate the model parameters, we show that the testing (localization) can be extended to variable-length sparse-spectrum sounds (such as speech), thus enabling a wide range of realistic applications, such as mapping sounds onto images. 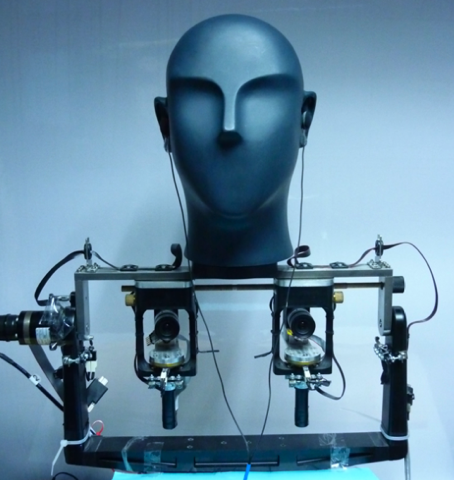 All the results presented in the paper and in the videos below can be reproduced using the Supervised Binaural Mapping Matlab Toolbox. Results presented in the paper are based on the publicly available audio-visual AVASM dataset. 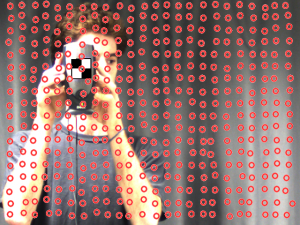 The following videos demonstrate the efficiency of the method for mapping real audio sources onto the field of view of a camera. They complement figures 4, 5, 7 and 8 of the paper.